The Orange Police Youth and Community officers are trying something new this year, and the police department is hoping that this will be as successful as some of its other community-outreach endeavors. Detectives Ryan DePolo and Carolyn Bailey, in partnership with Orange Community Services, have set up a ‘Holiday Giving Tree’ in the lobby vestibule at Orange Police headquarters, 314 Lambert Road. On this tree are different angel ornaments. 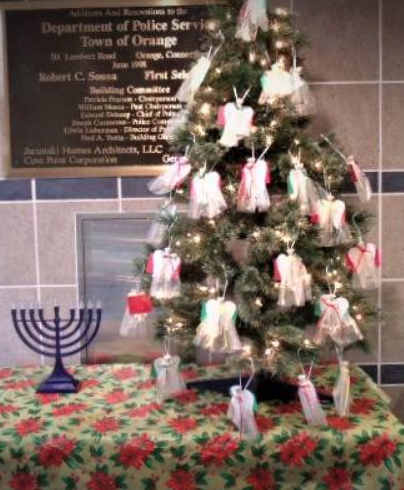 Each of these ornaments is dedicated to one boy or girl living in the Town of Orange. 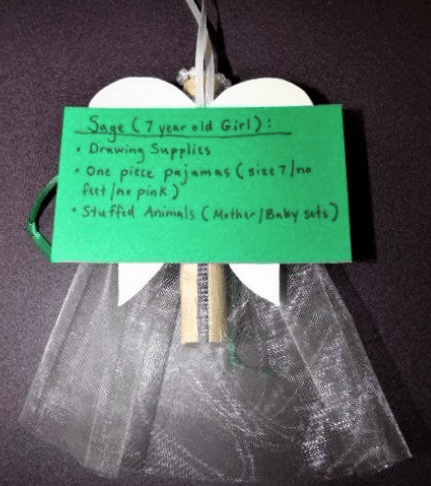 On each angel, there is the child’s name and the things he or she would like to receive for the holiday season. The police are hoping that people will pick an angel from the tree and fulfill that child’s holiday wishes. The items you pick for the child in need can be dropped at the Orange PD headquarters in care of either Detective DePolo or Detective Bailey. Please wrap the gifts and indicate which child you picked when doing so. Do you have old prescriptions taking up space in your house? Perhaps a bottle of blood pressure medication that went unused after your doctor changed the dosage or a half-empty bottle of antibiotic medicine from your child’s last bout with a cold, or maybe that expired tube of cream that the vet prescribed for your pet’s skin infection. 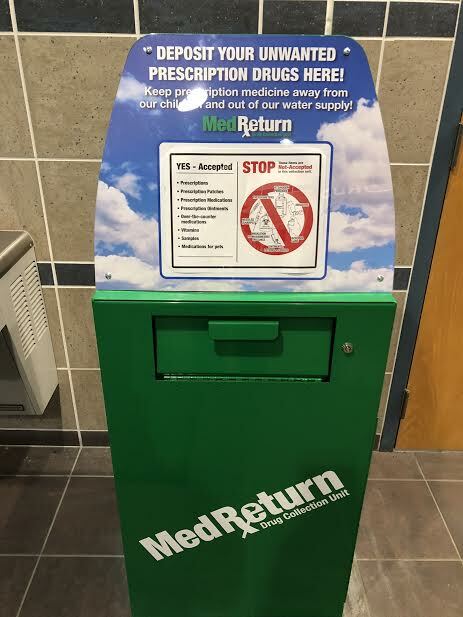 Instead of waiting for the semi-annual drug drop-off events in town, for your convenience, the BOW Drug / Alcohol Action Committee (BOWDAAC) donated a new prescription drug disposal receptacle that now has a permanent home in the Orange Police Department lobby. The process is simple, just bring your old, unused or unwanted prescription medications to the OPD and drop them into the box. The box is right near the front door, so you don’t have to interact with anyone, you don’t have to empty the containers or remove the labels because once they are inside the box, they go directly into a large bag and no one else touches them or looks at them. The drugs will be incinerated (disposed of properly) along with collections from other police departments. Commissioner Christopher Carveth suggested circulating a flyer to the schools about the box since children’s prescriptions expire quickly and shouldn’t be left around the house. Not Accepted: Needles (sharps), Medications from businesses or clinics, Ointments*, lotions or liquids, Thermometers, Inhalers, Hydrogen Peroxide and Aerosol cans. ATTENTION: Did Your Child Lose A Little Friend At The Carnival? Around Town, Home, Latest News, Police & Fire, Today's Events Comments Off on ATTENTION: Did Your Child Lose A Little Friend At The Carnival? 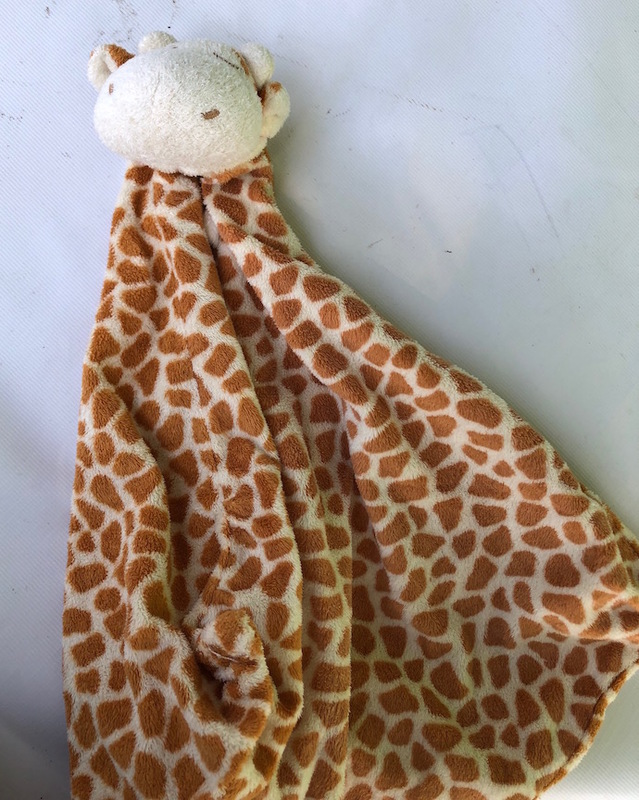 A lonely little giraffe snuggle blanket was found at the Orange Firemen’s Carnival on Sunday, Aug. 5, and one Orange Police Lieutenant wants to return it to its child. Whatever you may call it, it’s been found and Police Lt. Heather LaRock has taken it under her wing for safe keeping until you come and get it. As mothers (and grandmothers) we know that the loss of a special friend like this little guy can be devastating for a child, who will undoubtedly lose sleep tonight without their buddy. If it belongs to your child, or you know whose it is, call the Orange Police Department at 203-891-2130 to claim it. Please share on Facebook, so it has a further reach than just the local area. 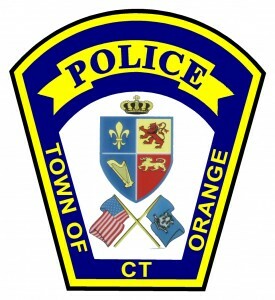 On Wednesday, July 6, at 8:06 a.m., an Orange resident surrendered himself at the Orange Police Department on a warrant. Police said the man was wanted on an outstanding warrant charging two counts of fourth-degree sexual assault and two counts of risk of injury to a child. He was taken into custody and charged. He was released on $10,000 bond for court July 18. 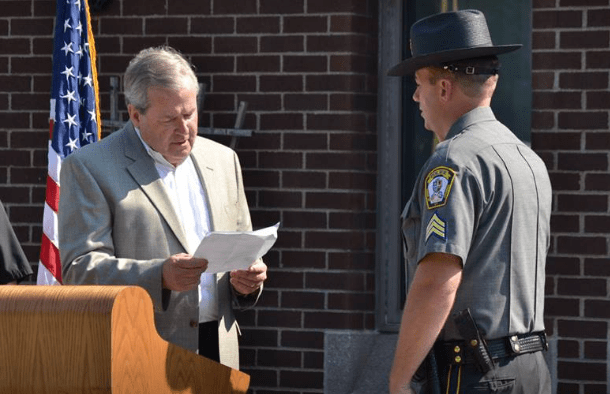 On Monday, July 2, the Orange Police Department hosted an outdoor ceremony promoting Detective Peter Kingston to the rank of sergeant. Sergeant Kingston joined the Orange Police Department in 2005 and was initially assigned to the patrol division. Since then, he has been a Field Training Officer, a Citizen’s Academy Instructor, and a member of the Motorcycle Unit. As an officer, Pete Kingston was assigned to the Statewide Narcotics Task Force from 2015-2017, and has been assigned to the Investigate Services Unit since 2017. Police Commissioner Chris Carveth administered the oath of office, and Sergeant Kingston’s wife Nikki, pinned him with his badge as their children looked on. This morning’s weather was behind several accidents around the state. Traffic on I-95 was like a parking lot in many areas. Locally a utility pole was down across Wheelers Farm Road. Police closed the road between Herbert and Glenwood at around 7 a.m. The UI repaired the pole and the road was reopened around 10:30 a.m.
on hand to help at the Fire Safety Day at Home Depot 2017. Home Depot had fire extinguishers available for purchase and prepared a craft for the children. Both fire and police personnel greeted the public and answered questions. Firefighters gave children plastic fire hats and showed them their firefighting equipment and let them climb on the trucks. This is one of the favorite public education events in which the town’s public servants participate every year. The Orange Police Department is moving into the 21st Century by offering, for the first time a live-stream swearing-in ceremony on Facebook. Traditionally, new officers are sworn-in at the Police Headquarters in the very crowded Conference Room, and rarely are regular citizens in attendance. Today, Sept. 5, the OPD welcomes its newest officer Makiem Miller with a LIVE swearing-in Ceremony that you can see on your smart phone, computer, tablet or laptop no matter where you are. 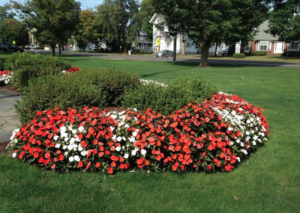 Just log into the Town Of Orange Police Department Facebook page at 3 p.m. for this historic occasion.